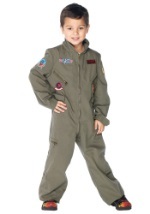 Your son will be flying around the F-14A Tomcat with Maverick when he puts on this kids' armed forces helmet! This pilot's helmet is plastic and white in color. 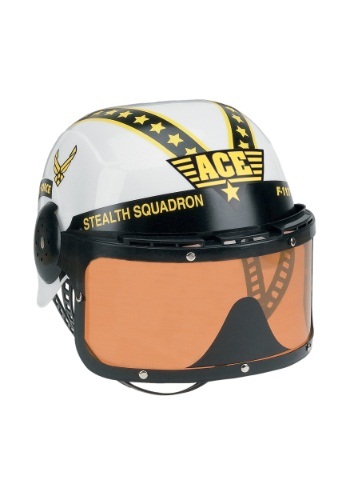 Two black bands of yellow stars go up the top of the helmet while Air Force stickers adorn the sides. 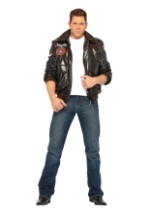 A Top Gun decal is on the very front. 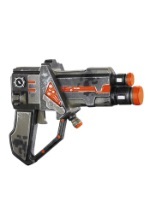 The plastic chin strap is adjustable to fit your child perfectly. 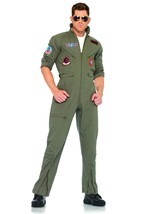 Don't forget to add our Maverick flight suit costume for an exciting Top Gun children's costume!